The Energy Companies Obligation, or ECO is a replacement for the energy companies Carbon Emission Reduction Target (CERT) which ended in 2012. CERT predominantly provided grants for loft insulation and cavity wall insulation whilst ECO provides funding under the Affordable Warmth Obligation for insulation and heating system upgrades for homeowners on certain benefits. 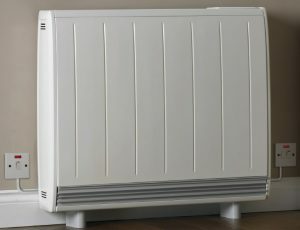 The Affordable Warmth scheme is widely seen as a replacement for the Warmfront scheme. The Energy Companies Obligation was introduced to help reduce energy consumption in Britain’s homes and to help householders who are living in fuel poverty. It does this by providing funding for the installation of energy efficient home improvements in private properties and it is estimated that around £1.3 billion will be made available each year to 31st March 2017. Affordable Warmth Scheme funding is provided by the six major energy companies and is paid directly to the accredited installation companies once they have completed the work. The Green Deal Initiative and the Energy Companies Obligation are part of the Government’s overall strategy on dealing with Climate Change. Although funding from the Green Deal Finance Company ended in July 2015. Affordable Warmth Scheme rules changed on the 1st April 2017 which has resulted in a simplification of the qualifying criteria. The Government has indicated that this new transitional phase of the ECO Scheme will run for 18 months to the end of September 2018. This will give time to consult on the design of a longer scheme intended to run for a further 4 years to 2022. Fuel poverty is defined by the Government as existing when more than 10% of household income is required to be spent on energy in order to achieve reasonable levels of warmth in the home. In this instance, adequate warmth means a temperature of around 22º centigrade in the main living areas of a home and 18º centigrade in all other areas. The main factors which contribute to fuel poverty are low household income, energy efficiency of the heating system, poor insulation in the home and the cost of fuel. The Affordable Warmth scheme was introduced to help tackle fuel poverty and the 18 month transitional phase starting on 1st April 2017 is intended to be even more focused on fuel poverty than the previous ECO Scheme. How much funding is available under the Affordable Warmth Scheme? Under the first phase of the Energy Companies Obligation (ECO1) energy suppliers provided up to £1.3 billion per year to meet their Carbon Saving Obligation and Affordable Warmth scheme. Around £325 million was directed to the Affordable Warmth scheme under which eligible householders in the private sector can apply for storage heater grants or boiler grants to cover the cost of energy efficient home improvements which reduce their heating bills. Insulation Grants are also available for cavity wall insulation and loft insulation. ECO Funding was reduced for ECO 2 and ECO2t, an 18 month transitional phase starting on 1st April 2017, had funding cut even further. However, although overall ECO funding has been reduced, that part allocated to the Affordable Warmth Scheme has actually been increased. British Gas, The Co-operative, EDF Energy, EON Energy, First Utility, npower, OVO Energy, Scottish Power, SSE, Utilita, Utility Warehouse, Extra Energy, Spark Energy, Flow Energy and Economy Energy. The Carbon Saving Community Obligation (CSCO) was designed to ensure that at least 15% of ECO funding goes towards installing energy efficient home improvements in the homes of low-income households in rural areas. The Carbon Emissions Saving Obligation (CERO) helped to fund difficult to install insulation measures which couldn’t be funded solely through the Green Deal initiative. The Affordable Warmth Scheme provides funding from the six main energy companies to cover the cost of installing certain heating and insulation products, such as free storage heaters and a free boiler, into the private properties of low-income households. The Affordable Warmth Scheme applies to homeowners who live in poorly heated and insulated homes and who receive certain state benefits. Specifically, the Affordable Warmth Scheme is targeted at low-income households, pensioners and single parents. We have teamed up with a number of accredited installers of energy efficient home improvements throughout the United Kingdom who are authorised to install products, such as free storage heaters and free boilers, funded under the Energy Companies Obligation. If you live in a private property and receive certain State Benefits we will arrange for a free technical survey of your heating system to establish whether you qualify for the installation of a new ‘A’ rated, energy efficient central heating boiler or storage heaters. The installation of energy efficient home improvements under the Affordable Warmth Scheme applies only to homeowners. Householders living in privately rented homes, social housing (council and housing association properties) may qualify for grants but we do not deal with them. To qualify for a boiler grant or a storage heater grant, installed under the ECO Affordable Warmth Scheme you need to satisfy certain criteria as regards your home, your state benefits and the condition of your existing central heating boiler or storage heaters. You must be a home owner. Your central heating boiler or your electric storage heaters MUST be broken. The obvious benefit for the householder is that you get a brand new, energy efficient boiler or storage heaters. A new central heating boiler should not require the same level of maintenance in its early years as your old boiler would have done, so you should also save the cost of any potential repairs to your old boiler. 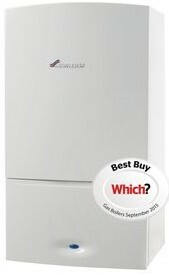 And the new central heating boiler will also come with a new guarantee. In addition, the new energy efficient central heating boiler should add value to your home and help when you come to sell it. Replacing an old inefficient and faulty ‘G’ rated central heating boiler for a new energy efficient ‘A’ rated central heating boiler can save you up to 35% on your heating bills. Based on a typical three bedroom house, this can be over £300 per year.